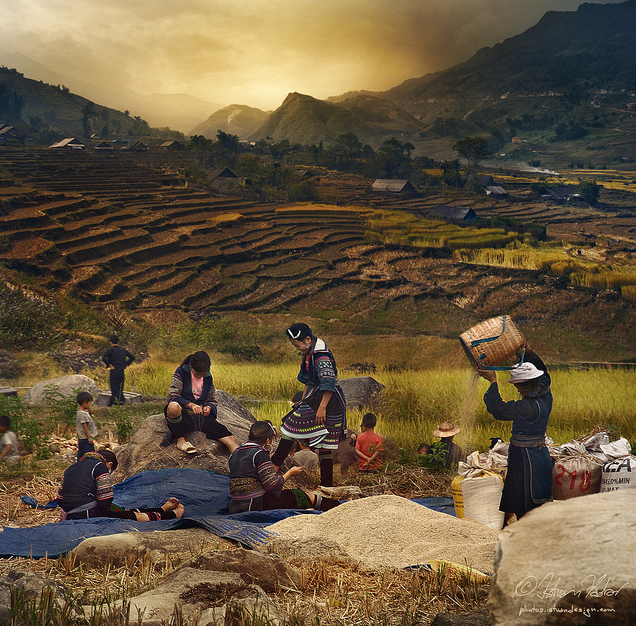 Sapa and the surrounding areas are the habitat of a number of different ethnic minorities. 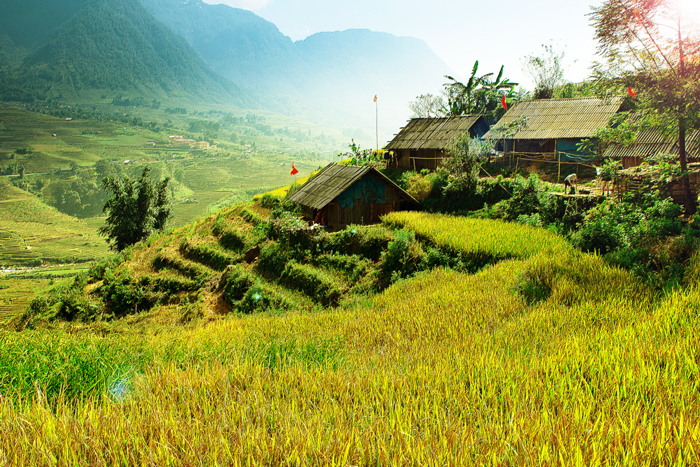 Visiting the villages where they are living is a not-to-missed experience in Sapa. It takes only 2 kilometers from the center of Sapa to Cat Cat Village, where Mong people having lived here for a long time. Some traditional craftsmanship such as growing flowers, crafting jewelries, weaving… Especially, the village is still able to reserve some unique traditions and customs that are not compromised. Visiting Cat Cat Village, you should buy yourself some authentic pieces of finely crafted textiles woven by the hands of the ethnic people themselves. It can be clothes, or just a small wallet, purse or handbag. The first stop of travelers in Ta Phin is visiting a monastery, which is built in Western architecture in the 19th century. Looking to the Southeast, opposite to the monastery is the majestic Ham Rong Mountain which is situated on a topographically diverse area. Going onwards, you will have the chance to visit the brocade club of Mong and Dao people and admire the vivid traditional custom of Mong and Red Dao. Another “signature” activity in Ta Phin Village is medicinal bathing. You will be submerged in a barrel filled with hot herbal water. This is proven to be very good for your health and revitalization. An 8 kilometer southeast drive from Sapa will lead you to Ta Van Giay Village, where you will visit and discover the life of Giay people, one of the lesser-known ethnic tribe in Vietnam. But first, you will have to get past a narrow dirt trail. Both sides of it are picturesque rice terraces adorned by lush corn and young rice. Apart from rice cultivation, Giay people are also famous for forging silverware and for a long-lasting and well-preserved culture. Not so cold like Ta Phin and Ta Van, the road to Ban Ho is twisty and tricky. One side of the road is imposingly high mountain and the other is intimidating cliff. The highlight of this remote village is that you will have the opportunity to enter an ethnic family and have lunch with them. If you are staying overnight, be escorted to explore the exotic wildlife of Hoang Lien Son National Park and the idyllic rice terrace. As the temperature here is considerably higher than most places in the surrounding area, you can submerge in the warm waters of Lave stream or visit the spectacular Da Nhay Waterfall. 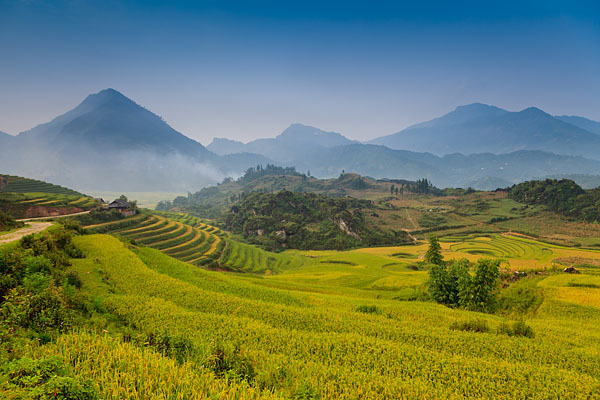 Sin Chai Village is 4 kilometers away from the town of Sapa. 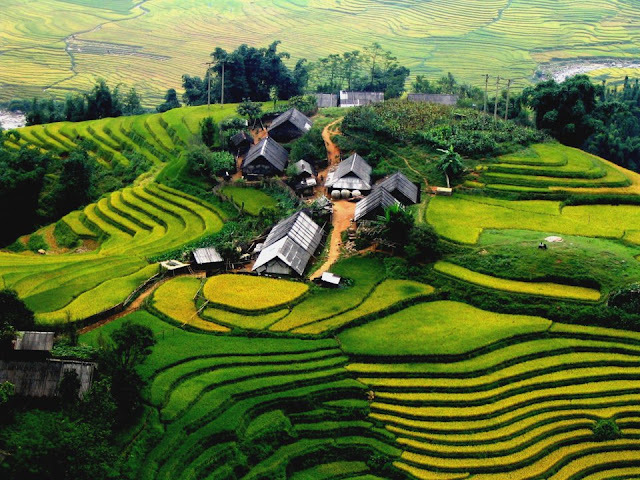 It is perhaps one of the most “serene” place in Sapa as tourism is still very new to it. 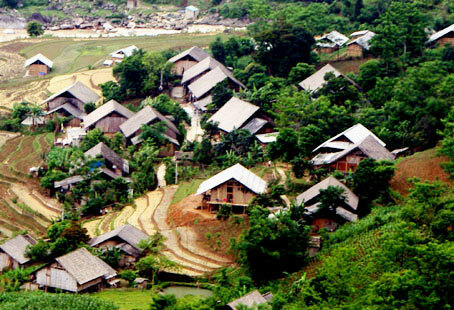 This timeless village is the habitat of Black Mong people with the population of about 1,400 people. Apart from rice and corn cultivation, a delicacy here is cardamom, an indispensable spice in pho, the national dish of Vietnam.